Is Technology Helping the Recession Along? Last night, I picked up two VHS gems at Goodwill. Yes, I was said gems and Goodwill in the same sentence and yes I still own a VCR. Now that we got that out of the way, may I continue my story? 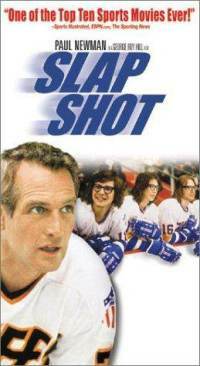 I picked up Slap Shot and A Fish Called Wanda. Take a moment to get the “OMG, it has been so long since I saw those movies and they are so funny” out of the way. Good. This story is filled with way too many distractions. Naturally, how could one chose between two great movies in their time or any time for that matter. I used the systematic approach and went with the one in the biggest obnoxious plastic case. 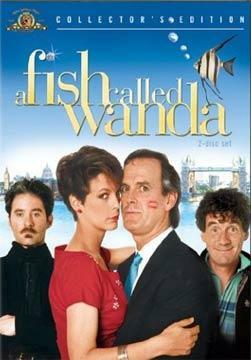 Last night, John Cleese, Jamie Lee Curtis and Kevin Kline won over. As I was watching John Cleese do a commercial for Schweppes and admiring the aging quality of the print as it would compare today to a blue-ray disk, I had a single thought run through my head. Wait, there was a trailer for Big. Awesome! Back to the story. Yes, I am to blame for the last tangent. I recall as a child, this piece of plastic with way too many screws than it needed cost $89.99 in the last 1980’s. Yes. The prestige of owning a movie that you would watch in the comfort of your own home cost 90 bucks. Now, in today’s economy, who am I kidding, VHS tapes are worth less than bookends, these cost me a dollar each. Actually, it was discount Wednesday so I think they were even cheaper. In terms of nostalgia, they were priceless. Since then the compact disk, laser disk, mini disk, blue-ray disk and instant internet streaming have out dated each other in a competitive frenzy driving costs down and supply up. I almost said NetFlix as the final link on the chain of advanced sales technology, but the likelihood is that if you read this in three to six months, they may not be here. Let us take a moment of silence for the fall of NetFlix…….Thank you. Now back to our show, with limited commercial interruption. So I can get a retro VHS for a dollar, a DVD at Wal-Mart for 5 dollars or even a dollar at a flea market and a Blue-ray disk for $9.99 on sale. My how competition and bang for the buck has changed. Yet, the cost of movie tickets has increased in increments with inflation year in and year out. Add in the streaming technology and for $7.95 you are unlimited on the number of movies and shows you can watch. Actually you are limited given that there are 24 hours a day and 720 hours a month. That really limits us to about 370 movies if we don’t use the restroom or sleep. This is not to be taken as a challenge for some of you living in your parents basement. Is this all a result of the the recession, competition or the poster child for a new society. 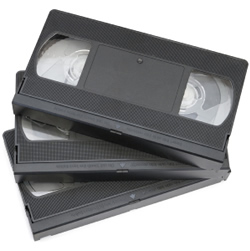 I myself relish my $5.00 VCR I got on Craigslist and my wide assortment of VHS tapes including Strange Brew, Youngblood, Sixteen Candles, Beavis and Butthead Do America, The Way We Were, Youngblood, Dead Poet’s Society, Star Wars and Pump Up the Volume. There is something about the cracking of the tape and the feeling you get that takes you back to the innocence and comfort of youth. If it takes a recession and mounds and mounds of vendors and suppliers to drive down the cost of media, so be it. As a consumer, thank you. I am just glad my retro days have not been buried. To all those that hang on to the memories of a good classic film on an even more classic media, we salute you. Bring out the VCR, pop some of that Orville popcorn and kick back.